Intro: I've not been able to finish my recent stories and left them unfinished which is not something I am used to doing, however now I am less busy and found a medium between playing the game and progress fast enough and updating the way I want so I think I'll be able to do a good job with this one. Before I get into it I want to say this won't be like my older stories where I post updates of each game and monthly summaries. This story will be updated once a week with a halfway through a season big update post, so over 2 weeks a season will be complete. I will be playing on legendary with many restrictions posted in more detail below, I will only be playing the home games which means I will be simulating every away game. Paris FC is the 'other' club based in the French capital. 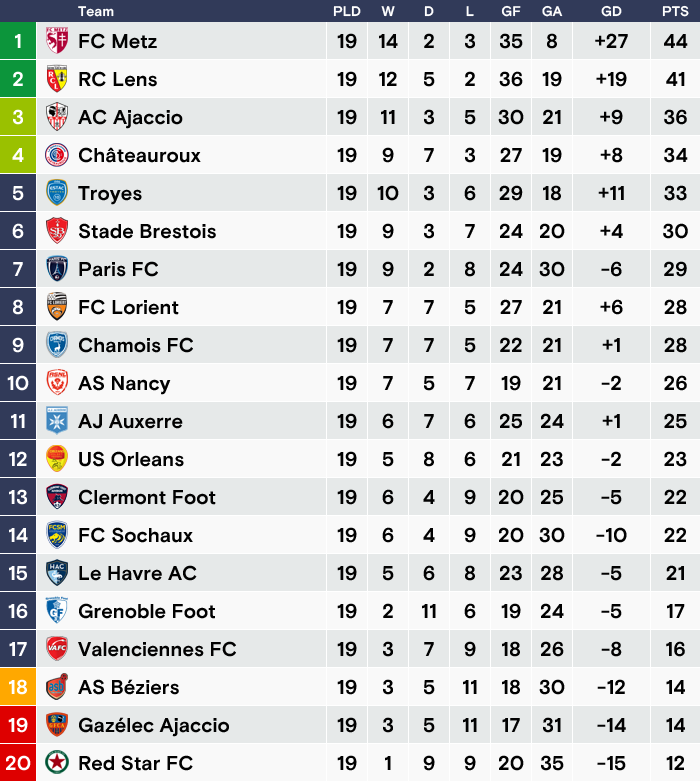 Currently residing in Ligue 2 after finishing 8th place last season, the season before the club were unusually administratively promoted to the league after failing to win the playoff game to qualify for it, so why where they promoted? Simply because SC Bastia were demoted to the third division for financial irregularities. Controversy has always followed the club, founded back in 1969, the club was later merged with Stade Saint-Germain to form Paris Saint-Germain, commonly known as PSG. Unlike its counterpart, which has gone on to establish a solid foundation, Paris FC has struggled to establish itself, having spent the majority of its existence playing in the amateur divisions. Paris FC last played in Ligue 1 in the 1978–79 season, 40 years ago. The rivalry with PSG stems back to their breakup back in 1972 after coming under pressure from the capital city's mayor, who refused to support a non-Parisian club. As a result, a bitter split occurred and both Paris FC and Paris Saint-Germain remained as separate football club with the main agreement being that Paris FC had the right to keep the splitting entity's first division and professional status, as well as all the professional players. Paris Saint-Germain were, on the other hand, administratively relegated to the third division and given all the former entity's amateur players. At the beginning of the 72/73 season Paris were playing in the first division hosting matches at the Parc des Princes. Two seasons later, the club was relegated to the second division, which coincided with Paris Saint-Germain's rise to top-flight and the acquisition of the Parc des Princes. After four years of playing in Division 2, Paris returned to the first division for the 1978–79 season. However, the season was a difficult one and resulted in the club falling back to Division 2 after one season. Paris FC have since yet to return to the top-flight league of France. Meet the manager: A relevantly unknown French manager named Pascal Bellegarde climbed up the ranks to take over Paris FC this season, although the club had a successful season finishing in the top half of Ligue 2 the new ownership wanted a fresh forward-thinking approach for the future and they acted fast. Pascal Bellegarde has history working with teams in the French amateur leagues and working his way up to become part of the coaching staff for Borussia Dortmund in more recent times, evidently while current PSG head coach Thomas Tuchel was working there. Many saying Pascal was an integral part of the team. Now Bellegarde looks to make his own success and he begins that journey with Paris FC. Honestly great to see more stories, but even greater to see unconventional leagues and clubs. Looking forward to this as I know nothing about Ligue 2. I played as Paris FC a bit last year and really enjoyed it. Very nice looking kits and the idea of being the best Paris team is a great goal. Interesting story. I liked the restrictions that you have included. Good luck. Paris FC finished 8th place last season, under new ownership and combined with 2 motivated Paris born entrepreneurs whom hold a large steak of 27.8% of the clubs shares, the club looks for a fresh start as they aim to eventually compete with their bitter rival Paris Saint-Germain, a team that is currently dominating French football, backed by the country of Qatar and are widely known for splashing the cash whatever the cost. The owners and the board know this will take some time, their aim is to not invest too much into the clubs transfer business and do things the proper way. The board have set out certain goals for the new manager to try to achieve this season and in future seasons. Pascal Bellegarde is a very risky appointment for the club, the Nice born 52 year old doesn't have a long history of managing top clubs or anything like that but he does have a reputation, many regard him as the 'Diamond eye'. Bellegarde didn't get into football until he reach the age of 39, before that he was simply a data analyst and did some work for several French media companies. But later in his career something clicked and he completely changed the course of his life, he went on to study football management and worked with a handful of French amateur teams, from coaching to becoming assistant coach and even head coach during his time at the clubs, all below the 3rd tier of the French pyramid. He got his breakthrough at the age of 49 when Thomas Tuchel was appointed manager of Borussia Dortmund, Tuchel handpicked Pascal to join his coaching staff and recruiting team during his time at the club, both working well together and many regard Pascal Bellegarde as a key part of the Tuchel cog over the 3 years and Bellegarde earned the nickname 'Diamond eye' for spotting talent and working with them to reach their potential. But a lot of Bellegarde's strategy and tactical mind is very unknown at this point, Paris FC must see something in him as he was the first man on their list during the summer, let's see how the season unveils. The halfway point in the season update will be up on Sunday, as will every big update for future reference. Paris FC have enjoyed an incredible cup run so far in the Coupe de la Ligue, from knocking out AS Beziers in Round 1 to facing one of the top sides in the country Montpellier, a game which saw Paris come back to beat them 2-1 at home. Progressing to the Round of 16 they then comfortably beat Valenciennes 3-0. Now Paris go further than ever before in this competition and will come up against Marseille in the Quarter-Finals, a match that could earn the club a big sum of money. Swiss full-back Vincent Rüfli has been making some noise recently as he becomes frustrated with his playing time under Pascal Bellegarde. The club recently upped his contract a further year but the player is looking for a move away from the club next summer after a recent training ground bust up with the manager and a couple of players, Rufli has been frozen out of the team for now as the situation gets resolved. The biggest transfer news for Paris FC comes later in the month after they agreed to sign 29 year old Romain Alessandrini on a pre-contract, the French winger failed to agree terms with LA Galaxy on extending his contract as he looks to head back to his home country. Paris offered the player a 3 year deal earning €10k/week, making him the highest paid player at the club. Reports suggest Alessandrini will also get a €50k signing bonus and is expected to wear the number 7 shirt when he arrives in the summer. 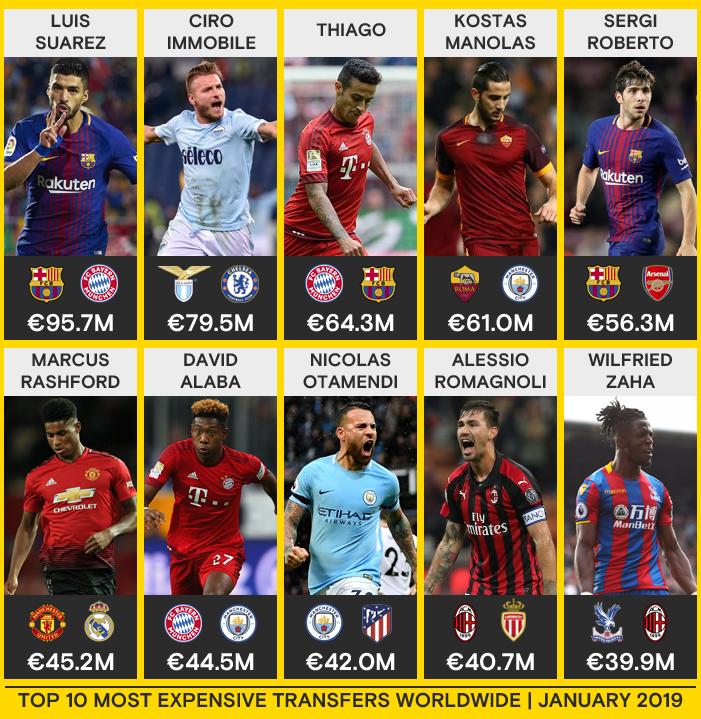 As for additions this January Paris add one player to their ranks as they break their transfer record to get the French striker from Lorient, Yoane Wissa signs a 4 year deal with the club, costing a massive €4m fee with Julien López also going the other way who is valued at €525k. Wissa collected a €25k signing bonus and he will be earning €6k/week. A clause was also agreed between both Lorient and Paris that if Paris sell the 22 year old in the future Lorient will be entitled to 8% of the transfer fee. Nice backup goalkeeper and Tunisian international Mouez Hassen also signs a pre-contract deal with Paris, the player agreed to a 4 year deal, earning a €45k signing fee and a weekly wage of €8.5k. The player is expected to wear the number 1 shirt when he joins in the summer after current number 1 goalkeeper Vincent Demarconnay will also exits the club to join Chilian side San Luis on a free. Very nice update and graphics. The team isn't far from the top 4, but they need to improve in the second half of the season. As they are not among the favorites, it seems a difficult task, but second divisions usually are open to surprises and the gap among teams isn't that big. Willing to see how it develops. Appreciate it, I think the 6 game losing streak hurt us a lot but as you say not too far off, Paris right now are not one of the favourites to win it, I think Metz are well above the pack in quality with Lens looking like they'll take the 2nd spot, with the rest fighting for the play-offs. Hopefully we will be one of them! Beautiful graphics, especially the news stuff. Some very interesting moves, especially Luis heading to Bayern. Alessandrini is in my opinion an underrated player and he's been wasted at LA Galaxy. Good to see him at Paris. 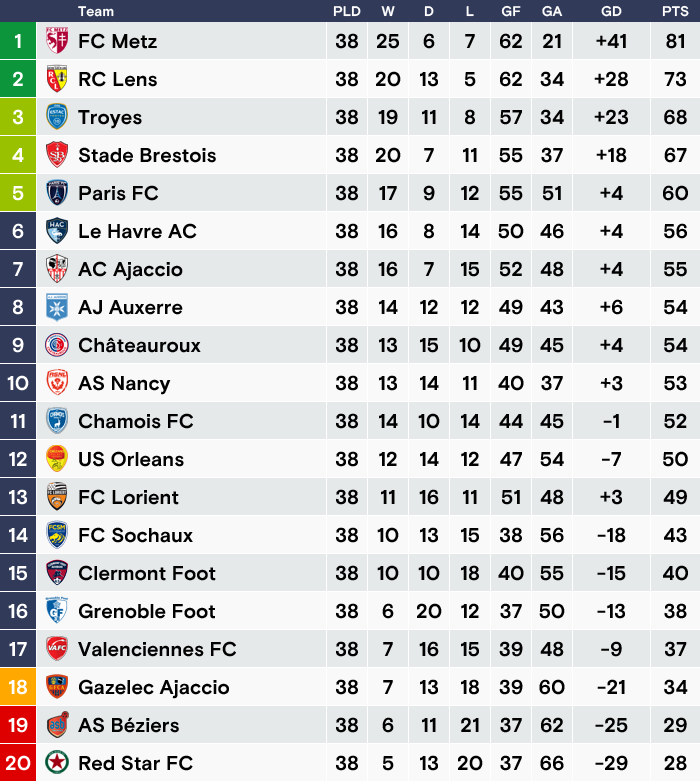 Wissa and Alessandrini are players that can get you promotion to Ligue 1, because that's where they belong. I had Wissa on my shortlist, in case I would lose David Neres. Nice graphics and presentation of your career! Alessandrini is a quality signing for the next season and makes your ambitions clear! I wonder if you succeed to reach the top four, would be a massive first season if you succeed to promote. Absolutely they are, Wissa is going to be my main striker ideally but it's good to have him as an option on the wings too, massive player for a big fee for the club. It was a successful season for the Paris boss Pascal Bellegarde, he overachieved in what the board expected of him by not only finishing in the top half of Ligue 2 but fighting for promotion finishing 5th place. Next season he will be expected to do slightly better and get the job done. As for domestic cup competitions, Paris enjoyed two very good cup runs compared to previous years, in the Coupe de la Ligue they made it to the semi-finals which is a club record in the competition, beating some massive French teams such as Montpellier and Marseille. In the Coupe Nationale Paris made it to the Round of 16 where Marseille sought out revenge by knocking them out. 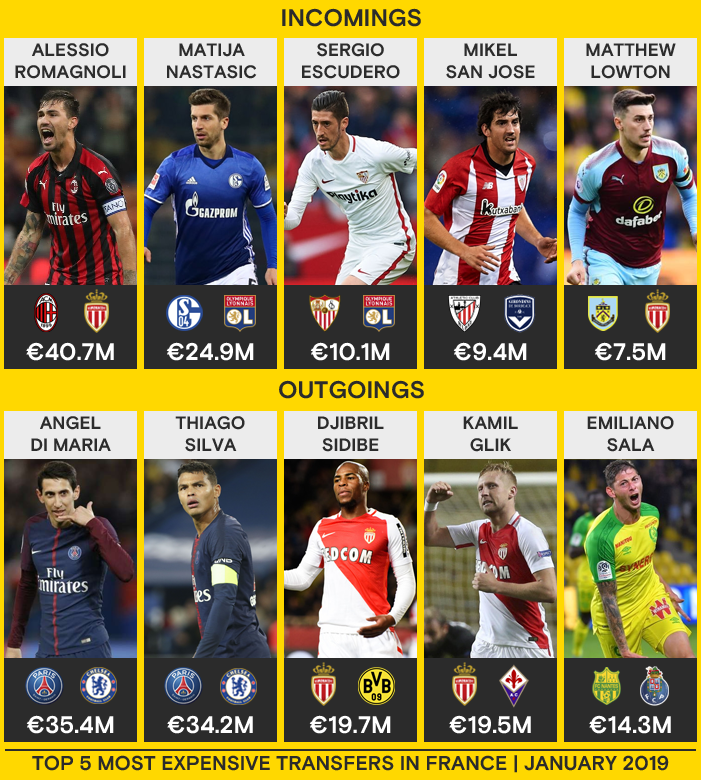 Financially the club remains in great shape as the salary was only increased by around 7%, allowing the club to invest further in the summer, reports suggested the board will give Bellegarde an €8m transfer budget and will double up on the potential wages from €55k/week to €110k a week in total. Moving on to the youth academy, it showed this season Pascal was willing to give anyone a chance and he promoted 17 year old Pasquier to the first team as he earns over 10 appearances in his first season. Moving on to other news and Paris will say goodbye to a few loanees but they were keen on extending starting left-back Perraud's loan spell at the club a further year however parent club Nice reject that offer leaving Paris to look for a new first team left back in the summer market to fill the void left behind. Four players will also exit the club on free, Demarconnay was the main goalkeeper at the club goes to San-Luis, Pitroipa, Gbelle, Ourega will also be looking for a new club, all three making a total of 20 appearances for the team this season.